Turn this otherwise boring and ugly space into something with personality! Most Asian homes don’t have laundry rooms; raise your hand if you have a washing machine in your kitchen, a clothes rack for drying on your balcony, and a hamper for dirty clothes in your bedroom. Here’s how you can spin the best out of these places. If you think doing laundry is boring, well you’re right. 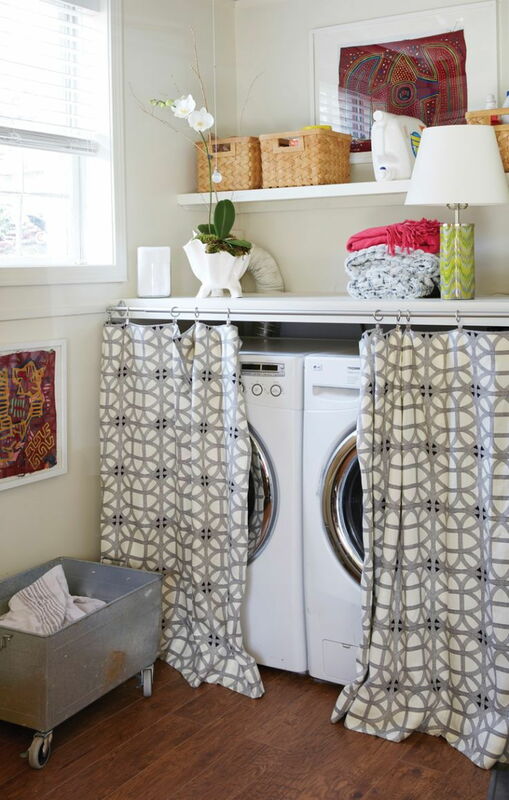 Try these hacks and turn your laundry areas into more fulfilling spaces! 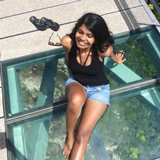 Somewhat unconventional in an Asian home, but imagine a little nook that smells of fluffy towels and clean sheets. A dedicated area is a sure-fire way to motivate you (and your fellow laundry elves!) 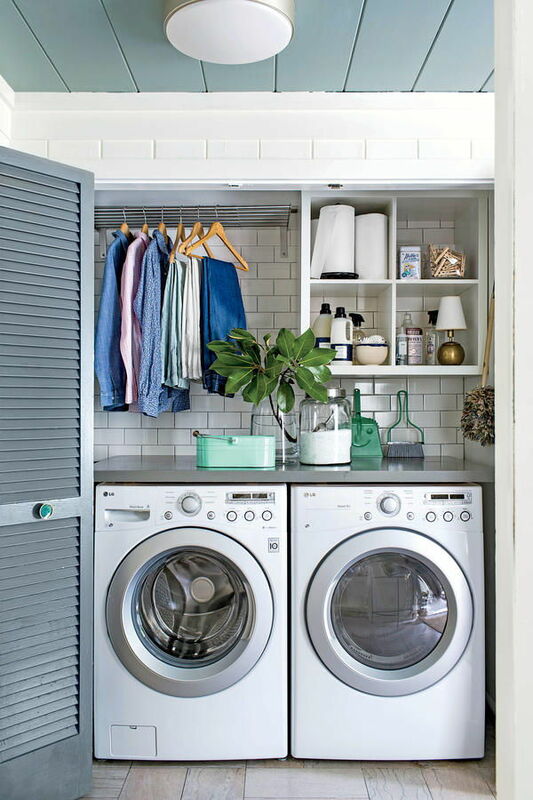 Your laundry space does not need to be large – taking into account how our Asian homes are built, we suggest utilising space in your open kitchen, porch, or balcony. You can also convert an extra bathroom. Invite yourself to linger in your laundry space with calming, earthy colours like blue and green, or neutrals with cheery pops of yellow. Read our article on how colours can affect your mood for more inspiration. Storage space for detergent, fabric softener, clothespins, hangers, etc. 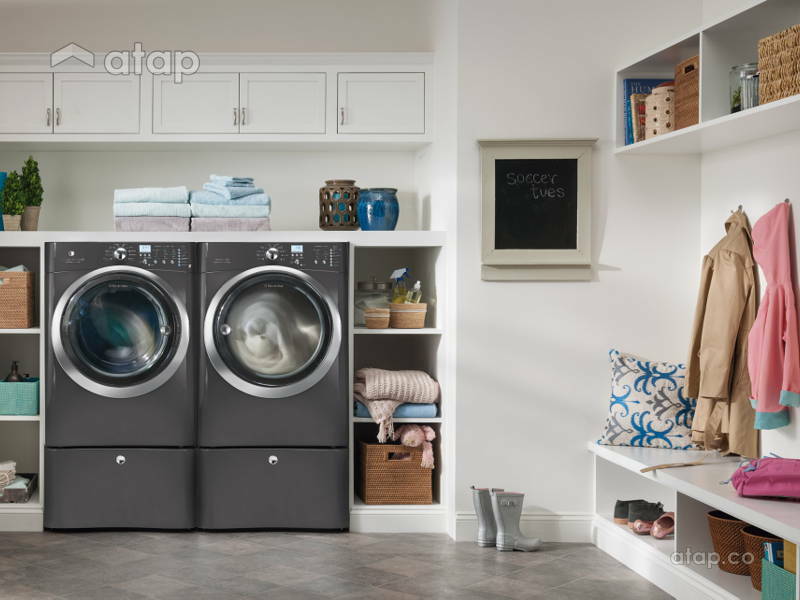 Talk to your contractor about how you can separate your laundry space if it’s occupying a larger area. 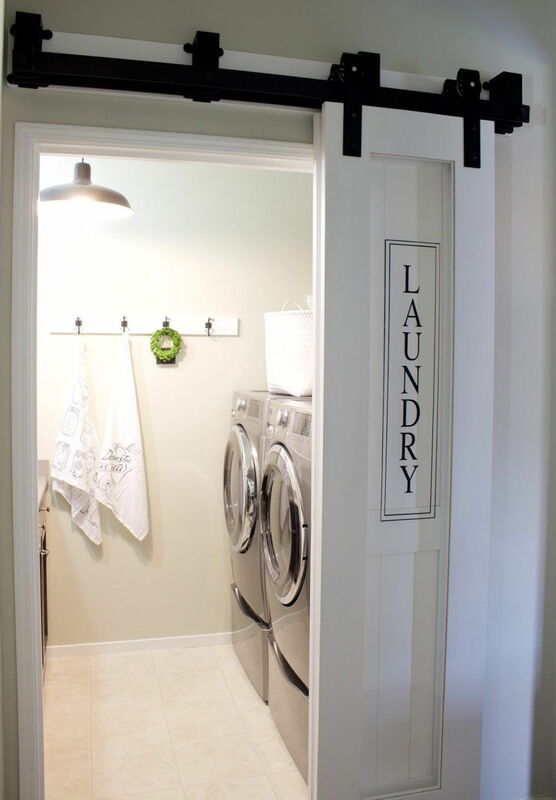 This gives it definition so that your laundry area doesn’t lose its identity. You can also conceal your area with a DIY shower rod and shower curtain. Read more about tricks on separating a large room into 2 spaces. Build upwards to maximise space! 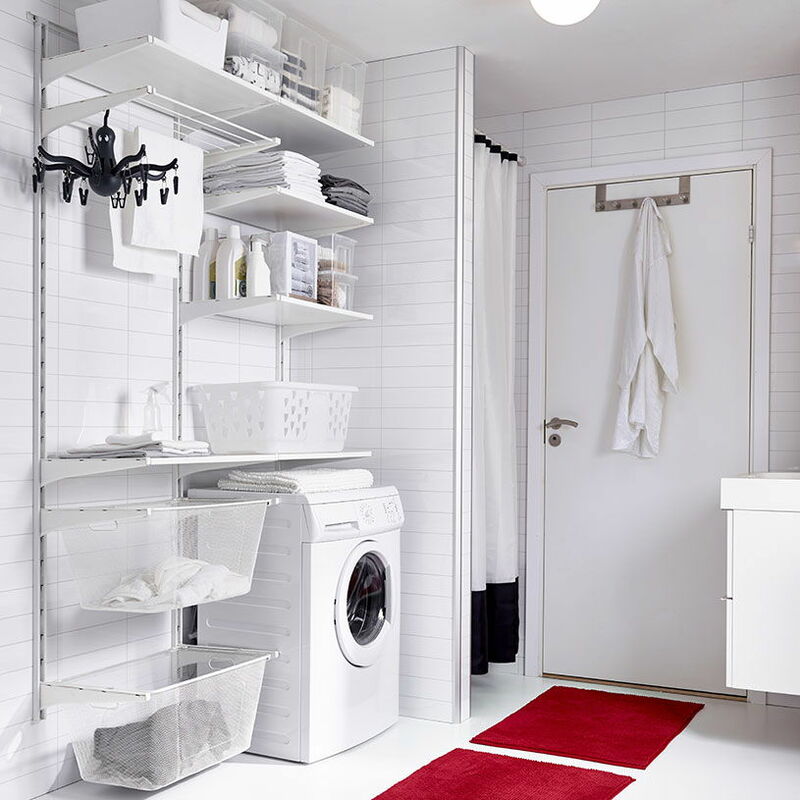 We love the pieces in Ikea’s adaptable ALGOT storage system which you can mix and match to suit your needs. 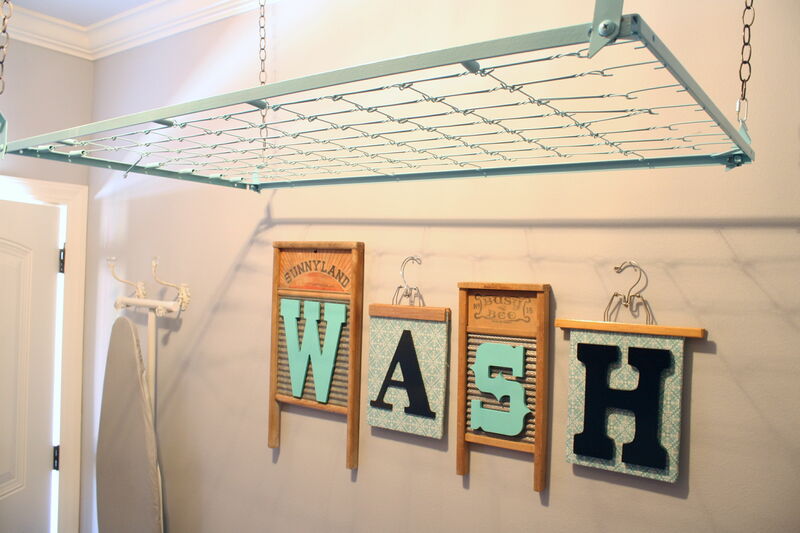 You can also build your own shelves or ‘laundry pantry’ and line them with matching storage bins or baskets. Pedestal drawers are also a great way to increase storage while lifting your appliances for easier access. Personalise your walls with funny posters, signs, and wall decals. Nothing lightens your load like humour. Size: How often do you do your laundry? How many people live in your home? Basket, hamper, or bag: Does your bin need to pull double duty – will you also need it for your clean clothes? Do you need to carry your bin downstairs? 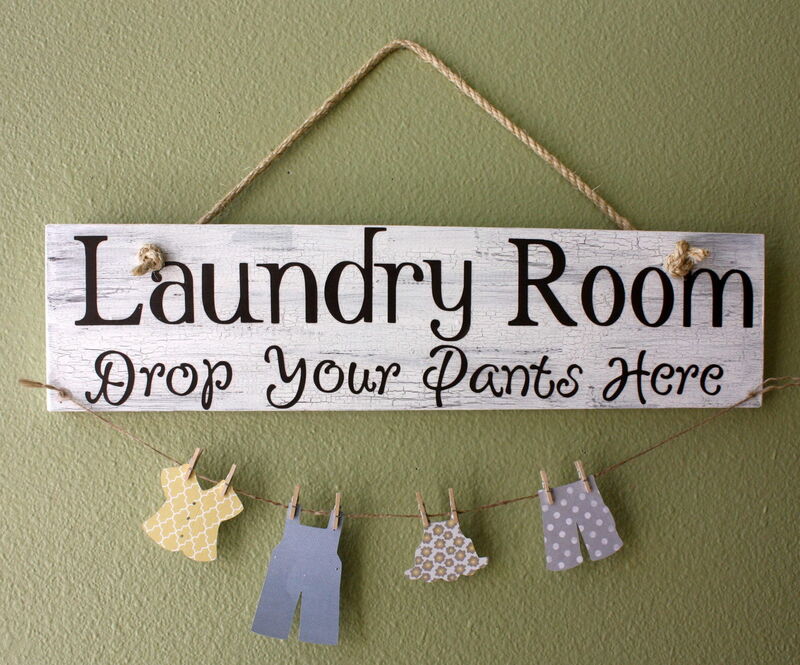 Do you bring your clothes to an external laundromat? Material: look for bins made of breathable plastic or damp-proof cloth that are resistant to mould and mildew, and won’t absorb the ripe aroma of your gym shorts. While wicker baskets are pretty, run your hands around the insides to test for bits that can snag or tear your clothes. Handles or wheels: A bin that’s not kept in the laundry area needs to be portable. 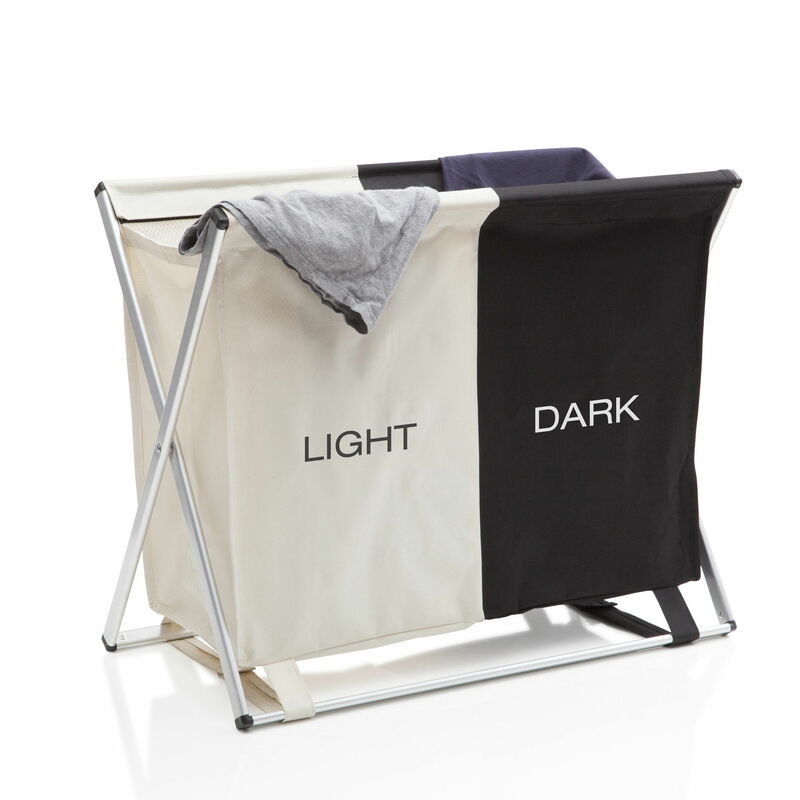 We love collapsible laundry baskets that you can put away when not in use. Coverage: If your dirty clothes tend to smell, invest in bins that keep your secrets safe. Conceal an awkwardly placed washing machine in your kitchen or bathroom behind built-in cabinets, curtains, or blinds. Alternatively, hide it in plain sight with strategically placed decals or chalkboard paint. Hanging your clothes is such a chore, but why waste all that sunshine right? Look for retractable clotheslines or racks that can be kept away when not in use. You’ve reached the age where you buy clothes based on whether you need to iron them or not. 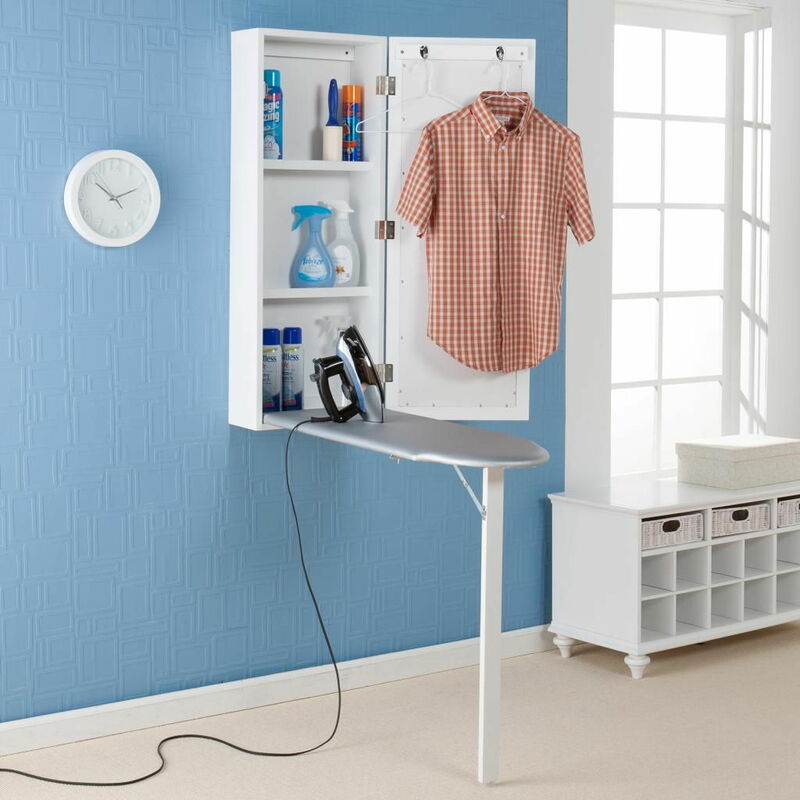 In case of error, invest in wall-mounted or foldaway ironing stations that takes up minimal floor space.